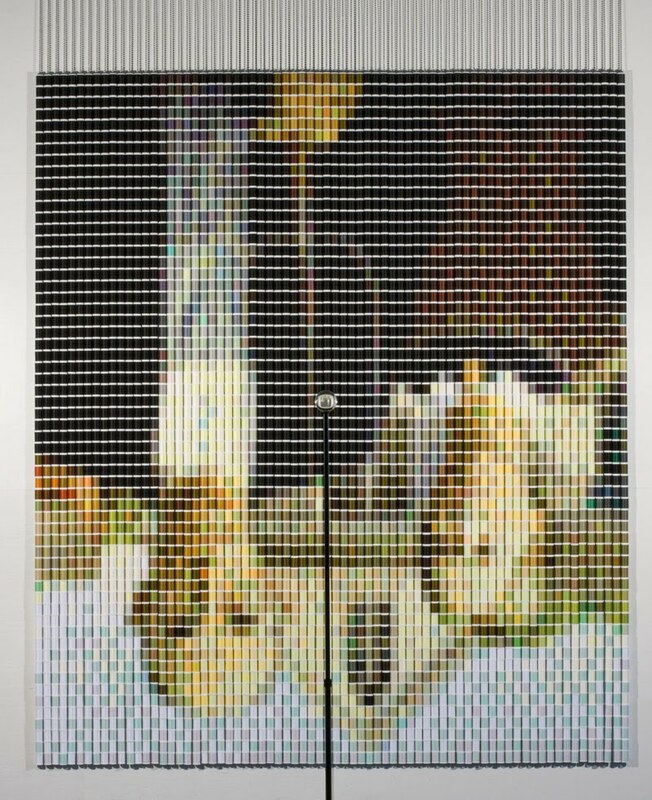 After Grant Wood (American Gothic) 3, 2010 4,392 spools of thread. 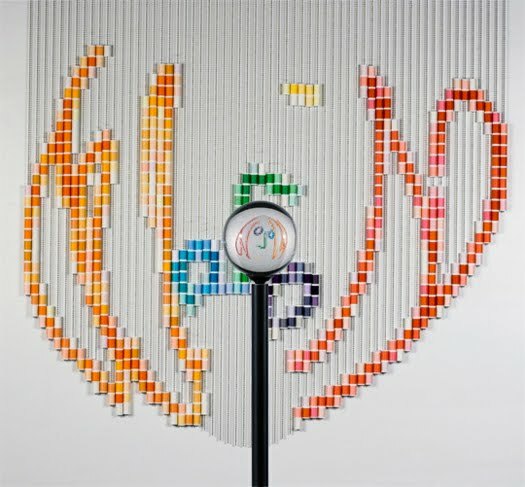 Me gusta como los carretes de hilo actúan como pixeles y la bola de acrílico transparente enfoca y gira la pieza. 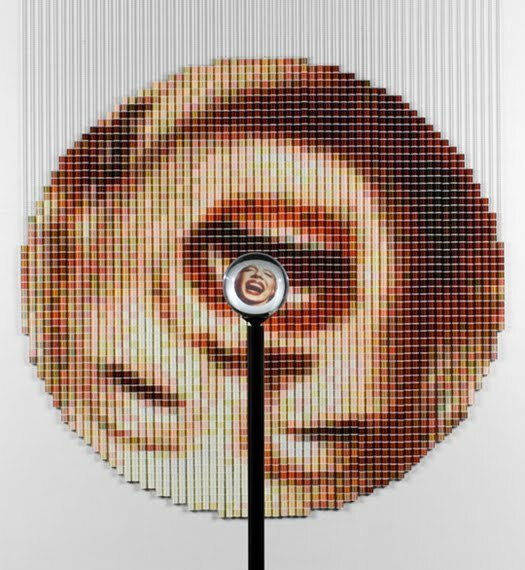 John Lennon (Self-Portrait), 2010, 631 larger spools of thread. 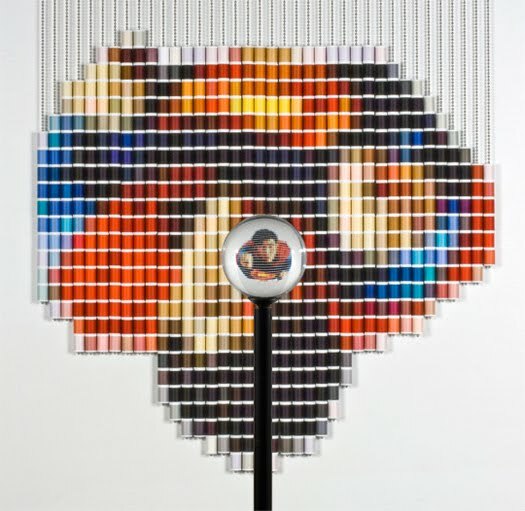 Superman, 2010, 690 larger spools of thread. 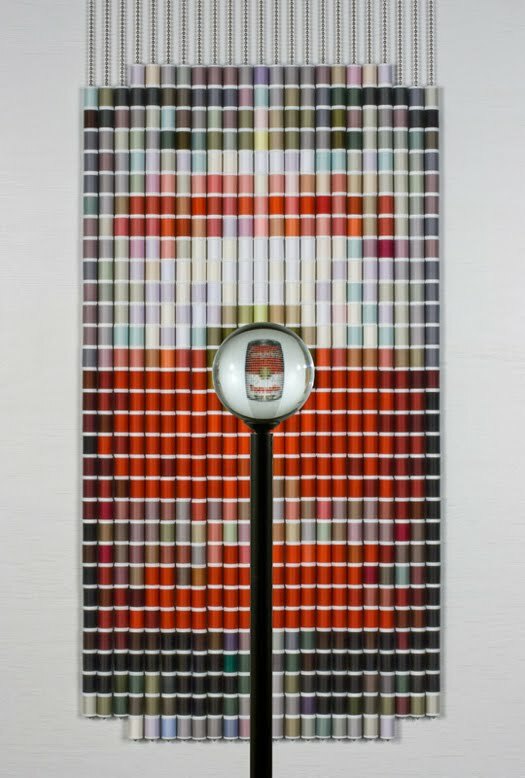 Woodstock, 2010, 308 larger spools of thread. 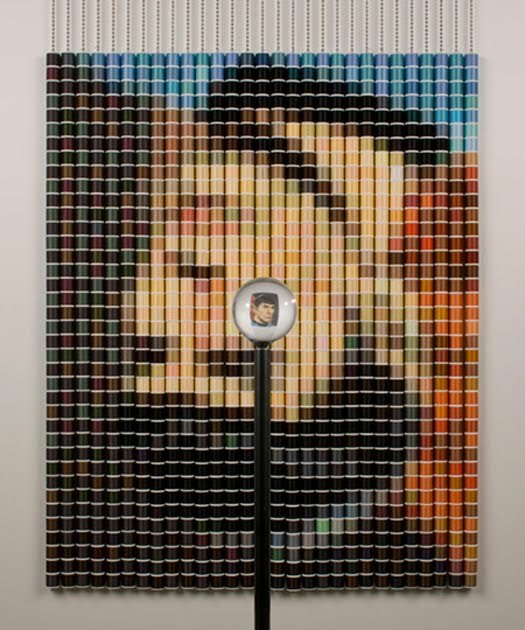 Before Warhol, 2010, 701 larger spools of thread. 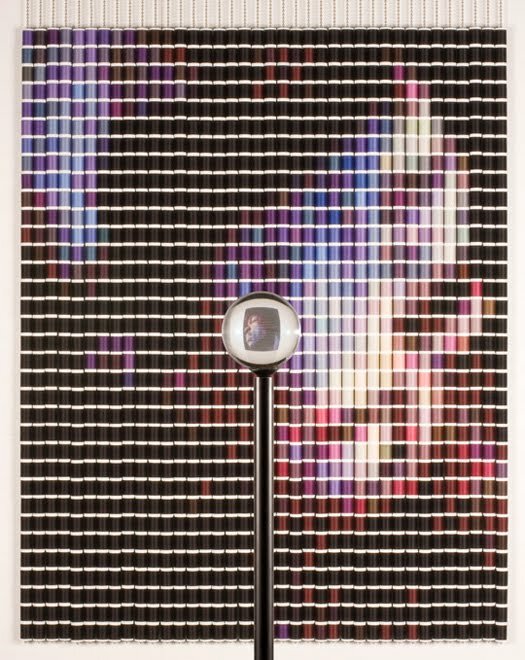 Hendrix, 2009, 1292 larger spools of thread. 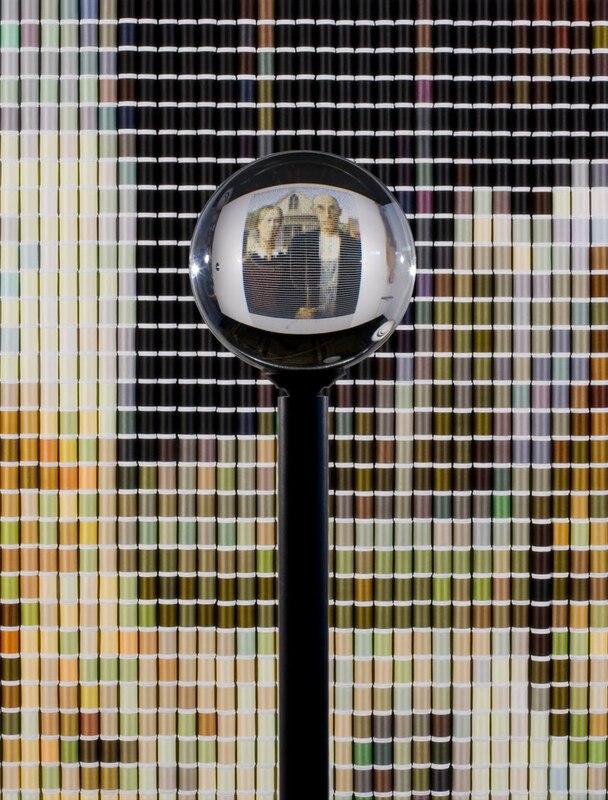 R.S.L., 2009, 597 larger spools of thread. 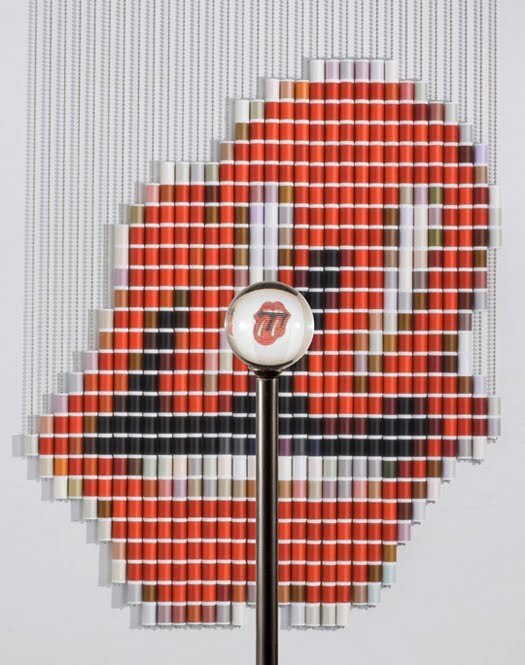 Marilyn 2, 2009, 3024 spools of thread. 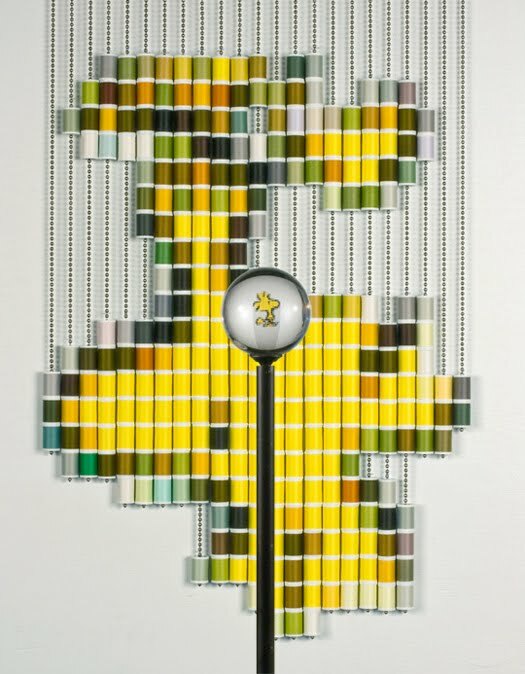 Spock 1, 2007, 1102 spools of thread. 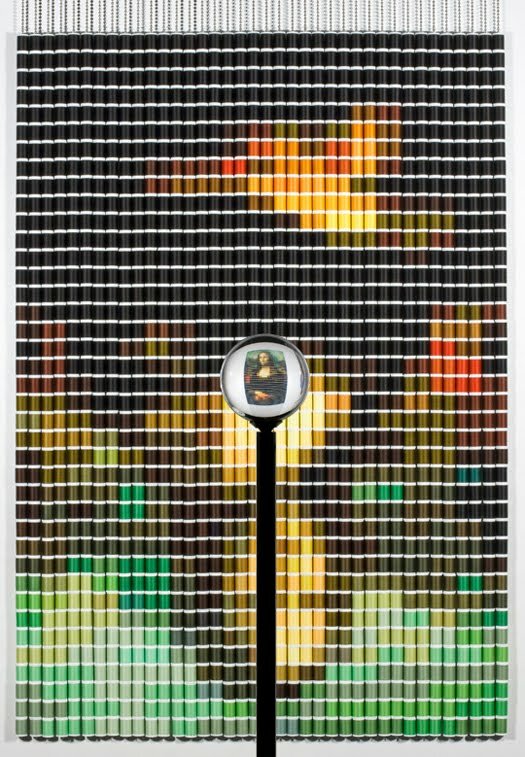 After The Mona Lisa 8, 2010, 1482 larger spools of thread.